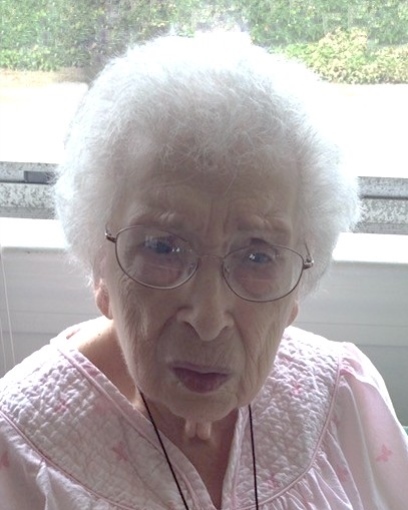 Constance Girgenti, 100, of Methuen passed away Tuesday, December 4, 2018 at Nevins Nursing Home in Methuen. Born in Lawrence, she was the daughter of the late Sebastiano and Angela (Cresimano) Girgenti. Constance was raised and educated in Lawrence. She worked at Grieco Brothers in Lawrence for thirty years as a button marker and retired in 1980. She was a member of Corpus Christi Parish at Holy Rosary Church in Lawrence. Constance was predeceased by her siblings, Salvatore, Joseph, and Nellie Higgins. She is survived by her nephews, Samuel, David and Joseph Girgenti, Jr.; and nieces, Dianne Lasonde and the late Pamela Daveta. Relatives and friends are respectfully invited to attend visiting hours from 8:30-9:30 AM on Friday, December 7, 2018 at Cataudella Funeral Home, 126 Pleasant Valley St., Methuen. Her funeral mass will follow at 10:00 AM at Corpus Christi Parish at Holy Rosary Church, 35 Essex St., Lawrence. Burial will be at Elmwood Cemetery, Methuen.